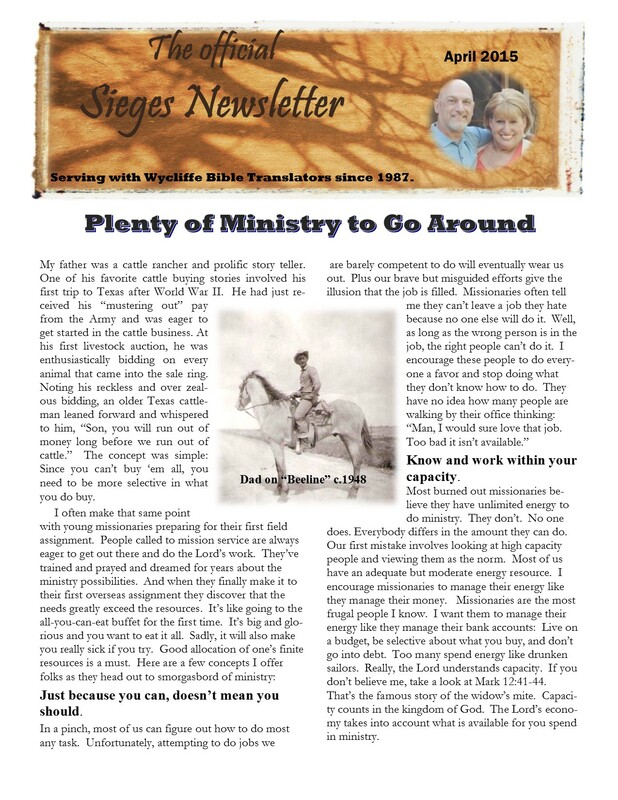 Time for the latest Sieges Newsletter. We had some pretty good news to report this time. The title item is about one of the biggest issues we deal with in missions: Preventing burnout. 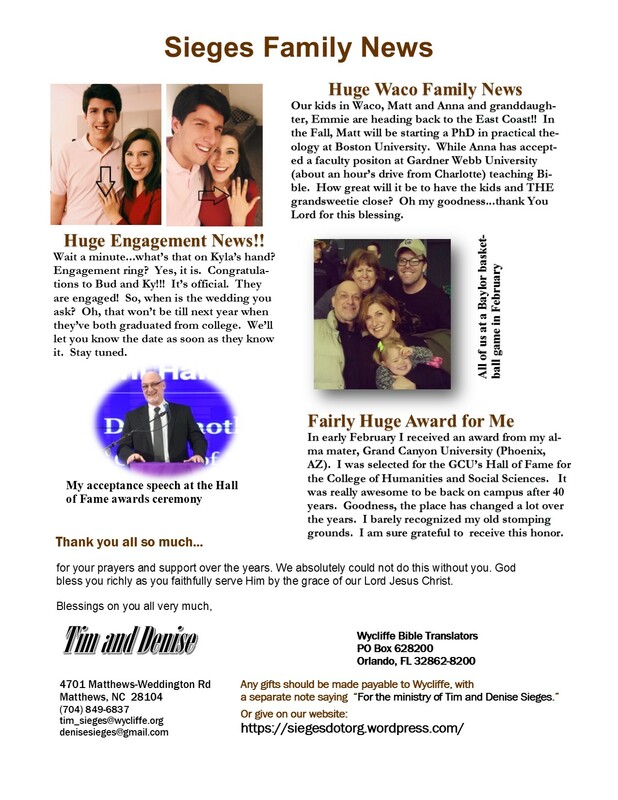 Check out the family news on the second page too. Remember: You gotta click twice on the image. It will magically become readable. Otherwise you’ll have to get a magnifying glass to read it. Even though that is very old school…there is a better way. Click twice. It’ll work.